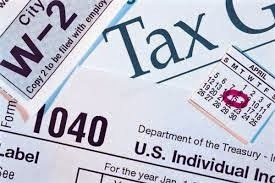 It's around that time when millions of American workers are getting their W2 forms in the mail and have to file their income taxes. This can be a fun time if you are expecting a refund but not so much if you end up having to pay money when you figure out your taxes. I understand the important need to collect income taxes to help run the country, but what I don't agree with is way the system is currently set up. As it is now, there are hundreds of deductions and itemizations that can be entered in to adjust the amount owed on the taxes. There is so much wiggle room and overall it is not that easy to understand everything on the forms. Also everything is rounded to the nearest dollar. When you take all these factors into account and multiply it by the millions of people filing taxes each year, it is so inexact. Some people are going to end up paying more than they should and others are going to end up paying less than they should. This is why the income tax system needs to be simplified. It should be as simple as paying a set percentage based on how much you earned. For example, say it is 25%. If you earn 10,000, you should pay 25% of that which would be $2,500 for income tax. No messing around with all these countless deductions. Some might argue that there are business expenses. It's true, there are, but that is something you have to take into consideration when you decide to run a business. When we start adding in all these business expenses, that is when it becomes inexact. When you look at political issues, reforming the income tax system does not seem to be a big priority, but I think it is something we really need to take a look at. The current system has gotten way out of hand with all the deductions and modifications. Income tax is a huge part of the resource that runs this country. It's time we get the finance numbers straightened out so that the correct amount of money is being sent to the government each year. This is a general blog with articles on just about everything from reviews and advice to lists and stories. Feel free to leave a comment if you like an article or have any feedback to share. Thanks! What Did You Do To Accomplish Your Goals Today?